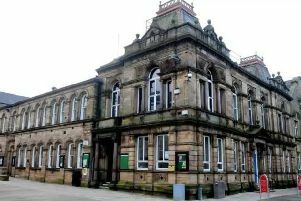 The Green Party has won its first ever seat in Burnley this morning at the local council elections. Jubilant Andy Fewings' ousted current Mayor, Labour's Howard Baker, after polling 789 votes in the Trinity ward. UKIP also gained a major victory winning their second seat through Tom Commis in the Hapton with Park ward. Despite losing two seats Labour retain overall majority of the council with 25 seats in total. Briercliffe Sarah Hall (Green) 48, David Heginbotham (Con) 235 Alun Lewis (Lab) 292 Gordon Lishman (Lib Dem) 667, James Mellor (Burnley and Pendle Independent Party) 71. Brunshaw: Paul Campbell (Lab) 648 Janet Hall (Green) 52, Steven Smith (Independent) 171, Ellen Sunter (Con) 287. Cliviger with Worsthorne: Ceri Carmichael (Green)121, Andy Devanney (Lab) 475, Ivor Emo (Con) 1,035. Coalclough with Deerplay: Gordon Birtwistle (Lib Dem) 654, Bill Horrocks (Lab) 377, Tom Watson (Con) 193, Anne Whittles (Green) 76. Danehouse with Stoneyholme: Alex Hall (Green 42), Shah Hussain (Lab ) 1,693, Neil Kennedy (Lib Dem) 74, Sheldon Slater (Con) 33. Gannow: Kathryn Haworth (Lib Dem) 70, Neil Mottershead (Burnley and Padiham Independent Party) 665, Jai Redman (Green) 25, Christine Sollis (Lab) 390, Don Whittaker (Con) 152. Gawthorpe Frank Cant (Lab) 463, Phillip Clarke (Con) 212, Lenny Johnson (UKIP) 390, Clare Long-Summers (Green) 45, Brendan Morris (Burnley and Padiham Independent Party) 198. Hapton with Park: Dave Alexander (Burnley and Pendle Independent Party 160), Sandra Byrne (Lib Dem) 84, Tom Commis (UKIP), 565, Jean Cunningham (Lab) 512, Stephen Murphy (Green) 24, Ben Page (Con) 213. Lanehead: Crissie Harter (Green) 91, Shbana Khan (Lab) 870, Philippa Lishman (Lib Dem) 339, Narayana Picton (Con) 281. Queensgate: Nigel Baldwin (Green) 83, Sue Graham (Labour) 693, Naweed Manzur (Lib Dem) 386, Susan Nutter (Con) 221. Rosegrove with Lowerhouse: Barbara Baldwin (Green) 81, Ernest Calderbank (UKIP) 74, Bea Foster (Lab) 537, Lorraine Mehanna (Burnley and Pendle Independent Party) 297, Matthew Nuttall (Con) 176. Rosehill with Burnley Wood: Gail Barton (Lab 493), Phil Chamberlain (Con 188), Georgina Ormrod (Green) 62, Jeff Sumner (Lib Dem) 699. Trinity: Howard Baker (Lab) 291, Andy Fewings (Green) 789, Michael Paterson (Con) 75, Jan Weaver (Burnley and Pendle Independent Party)45. Whittlefield with Ightenhill: Grace Donovan (Lab) 326, Dale Ferrier (Con) 415, Laura Fisk (Green 40), Peter Gill (UKIP) 89, Ray Hogan (UK Veterans’ and People’s Party) 22, Peter McCann (Lib Dem) 264, Emma Payne (Burnley and Pendle Independent Party) 356.